Tenuta Fessina’s “LaEneo” at The Kitchen in Denver, Colorado. I remember the first time I tasted these wines. My good friend Giampaolo Gravina sent me over to the Sicilian Pavillion at Vinitaly to find Federico Curtaz at the Tenuta Fessina booth. I arrived with high hopes- Giampaolo has impeccable taste and a talent for sniffing out the best wines in the ocean of Italian wine. I wasn’t disappointed. The Fessina wines are the pure expressions of Mount Etna. Silty and dusty with that grippy hint of volcanic ash- embossed into the wines by years of clinging to life on the edge of the world. Rocky soil below, molten lava threatening to spill over and decimate from above, and the salty blue sea spread out like a looking glass all around. 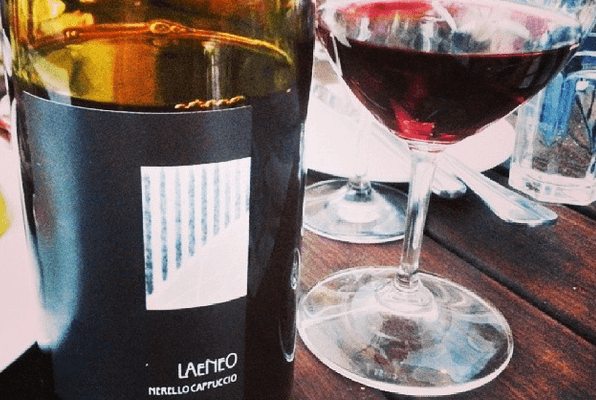 I especially love Fessina’s “LaEneo“- 100% Nerello Cappuccio, and one of the only mono-bottlings of the varietal I have ever tasted (aside from Benanti’s bottlings, which are also superb). 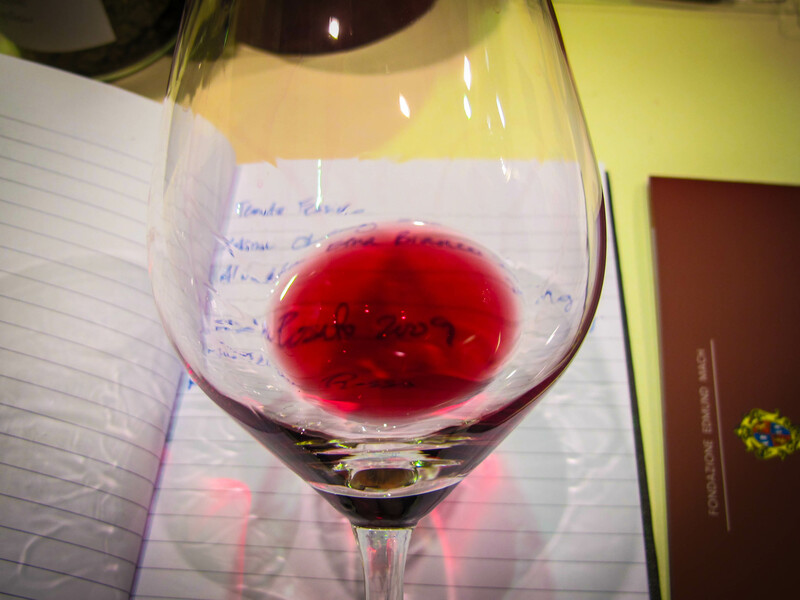 Image from tasting with Federico Curtaz, Vinitaly 2012. Nerello Cappuccio is the secondary grape in the Etna Rosso DOC blend. It has a deeper flavor profile than Nerello Mascalese- less red cherries and more black fruits, warm spices, roasty depth. A few years after this first fateful tasting I was thrilled to be reacquainted with the wine in the least suspecting of all places- Denver Colorado! 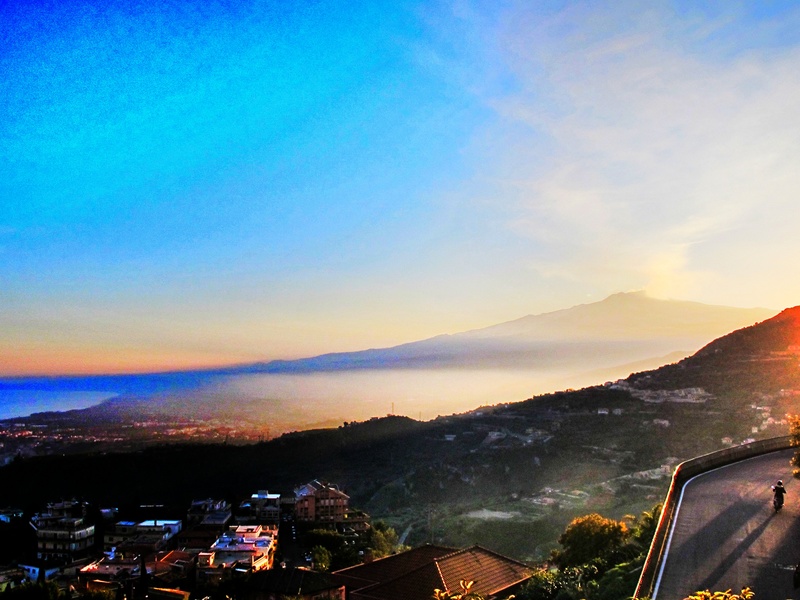 A view of Etna. I was checking out the wine list at The Kitchen and there it was- staring me in the face like a long-lost friend you find in the most surprising place. 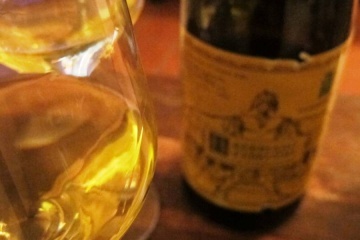 The wine was a gorgeous as I remembered, stunning in its simplicity and terroir. Once you’ve stood in the vineyards along the hillsides and terraces of Mount Etna you will never forget the feel of the place. The way it smells like wildflowers and asphalt and wet earth. The way the unforgiving sun shines tirelessly and seems to warm you from the inside. The vast expanse of vineyard that embraces every curve, right up to the edge of the road. That’s what you’ll find in the glass. When you meet Federico and talk to him about wine-making you’ll understand why these wines have such true expressions of place. This quote from his website is a perfect example of the philosophy required to make such honest, truth-telling wines. Me and Federico Curtaz in 2012. 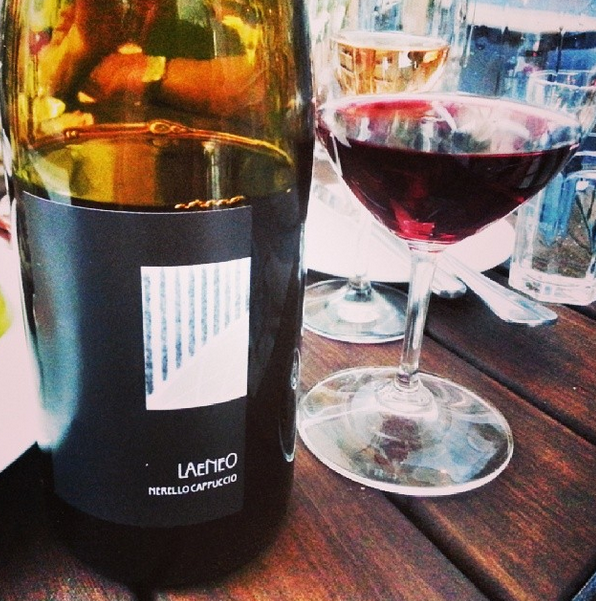 Happy Nerello-drinking people! What a beautiful surprise to find a little piece of Etna (and Federico!) in downtown Denver, Colorado.